Come può il fenomeno migratorio arricchire le società europee ospitanti?? Migration in many European countries has a negative connotation. The global crisis has had a negative effect on the perception of immigrants. The media, politicians and enterprises often link migrants to issues such as crime like drugs, human trafficking, as well as unemployment, illegal immigration, low educational achievement and social misconduct. In all European countries, immigrants have become part of mainstream society. In many European countries, immigrants generate up to 20% of the gross domestic product. There is a need for grassroots and participative initiatives to enhance intercultural dialogue. “Feel it! Feel the difference” study included both migrants and receiving communities in cultural and entertaining activities to promote cultural understanding. It worked to create a new awareness about immigrants so they can be seen as an enriching resource for Europe, as a unique chance to increase cultural and economic diversity, strengthen Europe’s global competitiveness and to develop new forms of social and cultural interaction in a multicultural Europe opening up to a global market. In this context, the project’s core idea is to encourage intercultural dialogue and knowledge by including both migrants and receiving communities in cultural and entertaining activities that were carried out in all of the six European partner cities (Innsbruck, Leicester, Madrid, Palermo, Stoccarda e Vilnius). In each partner city was carried out a study based on the idea of providing people with the opportunity to physically feel diversity. This study involved the partner associations, teachers and students of high secondary schools at local level. After which in each city was created a set of different events organized in the public areas and inside schools (such as installations, exhibitions, workshops, school project weeks). The study aims to identify at local level the meaning of the word “diversity” and the sensuous and interactive experiencing of cultural differences and specifics, at stimulating the sense of kinship rather than that of division. In each city the results of the study were useful for the creation of the conception and production of a “Path of diversity” that showcases different ethnic groups and their cultural specifics, and how this diversity is enriching European culture. For the development of this “Path of diversity”, in the first time students were integrated actively into studies activities on different ethnic groups that living in the cities involved, and after they took part in the planning and the production process of the 5 stands that composed every path in each of the partner cities. Furthermore, a curriculum for specific project weeks in schools on topics such as migration and integration was established in the course of the project. In each city involved in the project was produced a different installation “Path of Diversity” – http://www.feelthediversity.eu/path-of-diversity/ – regarding the themes of migrations and valorizing cultural diversity, exposed in public areas and in schools. After the activities studies students were involved in the School Project Week, a period of creative activities, workshops and documentaries on the topics of diversity and migration connected with notions of the teaching in different school subjects. 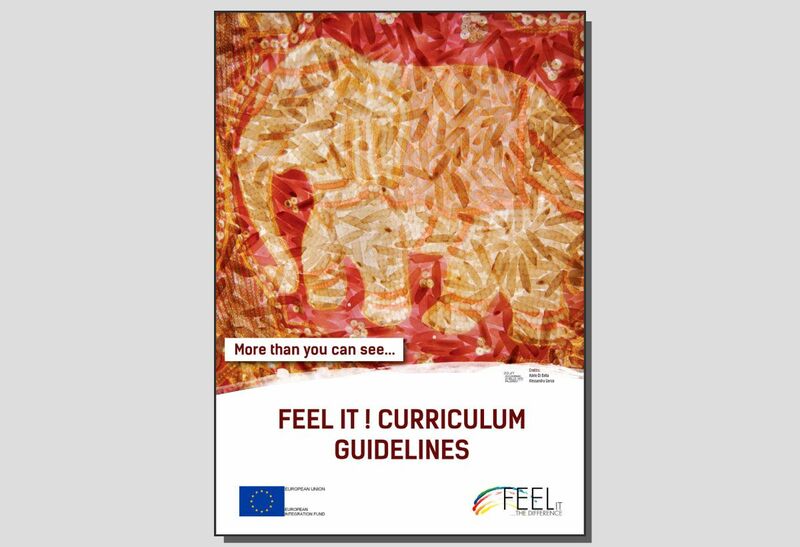 After this period the partnership created a “Curriculum”, a kind of pedagogic manual intending to represent a sort of didactic guide that supported teachers and trainers in their work with students during the Feel It School project weeks. “Feel it! Curriculum Guidelines” is a kind of pedagogic manual intending to represent a sort of didactic guide. The main purpose of the curriculum is to promote a different picture of migration in the EU and to pilot unconventional education measures in view of combating racism, xenophobia and stereotypes. The curriculum was designed by the partners on the basis of information and materials collected by the students of secondary and vocational training schools and good practices of their teachers. The Feel it! curriculum is divided into three sections: • a theoretical section with definitions of diversity and other concepts connected to it, such as stereotyping of social exclusion • a practical section- the “didactic guide”- for teachers with examples of exercises to be done in class in different school subjects • a feedback section on the path of diversity in every partner country which presents a resume of shared experience about the implementation of the path in every partner city.